A big part of our mission is to help advance genetics education. We had a rewarding opportunity to do so on Dec. 18, as the 23andMe Education Team hosted a holiday event for thirty 4th and 5th grade students from the Boys and Girls Club of the Peninsula (BGCP) in Redwood City, Calif.
Not far from our Mountain View offices, this club provides underprivileged students with a safe place to play and learn after school. It’s one of three BGCP “Clubhouses” in the area. As BGCP puts it, clubhouses are a place to interact with positive peer groups and adults who care, who mentor, and who inspire. 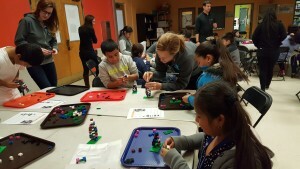 Our goal was to inspire through science – and have a lot of fun with a group of bright, enthusiastic students. We introduced students to DNA basics through interactive games, including learning how genetics can influence certain traits. The bitter taste test was a huge hit, as were the facial contortions of the super tasters. 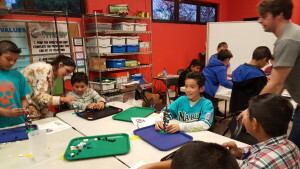 Students also built double helix models out of Legos. We also had the students guess for a prize how much DNA (in length) is packed into each individual human cell, using a piece of yarn to indicate their hypotheses. The conversation, like the ball of yarn, unspooled slowly with initial estimates coming in around 6 inches. The guessing continued, ramping to a rapid fire pace with students going smaller and smaller until one finally pulled the tiniest fiber of yarn he could manage, convinced he was going to win. They were surprised when the answer was revealed: approximately 6 feet. 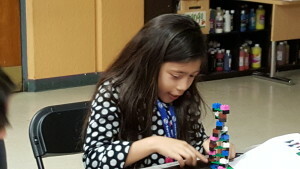 Our favorite comment, though, was from a young girl who after constructing her Lego double helix exclaimed, “This is the best day ever! I sprained my foot on Wednesday, and this is way better!” Check out details for using Legos as a learning activity to teach students about basic concepts of DNA and the DNA molecule. Students took home a bag of DNA-themed goodies to further their scientific exploration with their families and friends over the holiday break. Each gift bag contained a biographical book, family admission to the Tech Museum in San Jose (donated by our friends at the Tech), a “You Share Genes with Me” coloring book with colored pencils, a Lego set, and 23andMe temporary tattoos. 23andMe volunteers also went home with special gifts from the event: students’ enthusiasm for new knowledge and their gratitude for our time (and gifts). 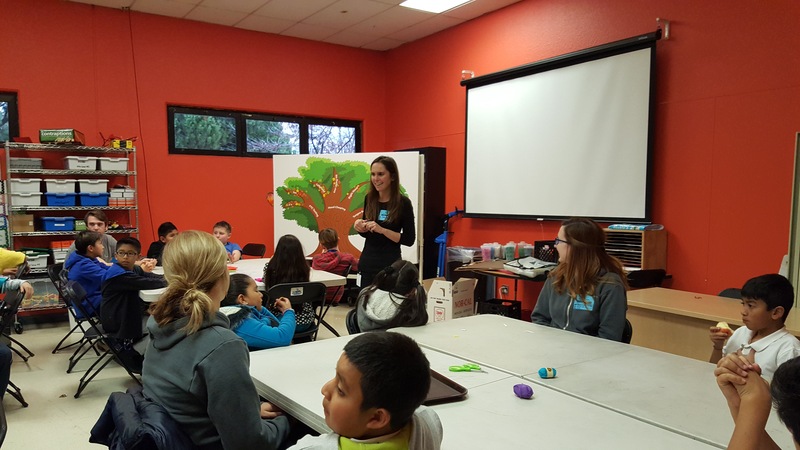 Thanks to our hosts at BGCP, and all of the 23andMe volunteers, including those who helped coordinate the event!